Driveworks has officially announced the chosen location for DriveWorks World 2017 – Atlanta, Georgia! The fun and festivities will be taking place in Atlanta, GA from Monday, March 6th until Friday, March 10th 2017 at the Twelve Atlantic Station Hotel. This year DriveWorks is offering two tracks for attendees to choose from. 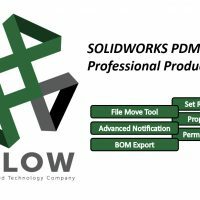 For those new to the product, they are offering Track 1 which will include DriveWorks training and DriveWorks Pro Professional Certification. For those already certified, Track 2 will offer training on more advanced concepts and additional modules that may not typically be used. To register, visit www.driveworksworld.com. Their site will offer discounted rates at the Twelve Atlantic Station Hotel along with a staggering 32% "Early Bird" registration savings if you are able to register by December 18th, 2016! Special offers are available for large groups that are attending as well. Hurry and set up your DriveWorks World 2017 registration and we'll see you in Atlanta! Do You Ship Products to the European Union?